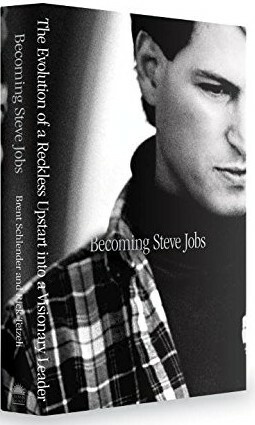 Penned by the The Wall Street Journal and Fortune reporter Brent Schlender and Rick Tetzeli, Executive Editor with Fast Company, ‘Becoming Steve Jobs: The Evolution of a Reckless Upstart into a Visionary Leader’ is slated for release on March 24 and already whole sections have been posted online. Endorsed by Apple execs, it’s fairest portrayal of the famous inventor who co-founded and led Apple to become the world’s top corporation. Unlike Walter Isaacson’s much maligned biography, Becoming Steve Jobs offers an insight into the side of Steve Jobs you didn’t know: kind, patient and human. Leaked excerpts offer Tim Cook’s reflections on working for such a demanding boss, the secret projects they discussed doing and not doing, tidbits on Jobs’ thought process and the events leading up to Jobs’s passing on October 5, 2011, including the story of Cook offering to give Jobs his liver. After finding that he shared a rare blood type with his boss, Cook was growing more and more susceptible to the thought of donating part of his liver to the ailing executive. One afternoon, Cook left the house feeling so upset that he had his own blood tested. He found out that he, like Steve, had a rare blood type, and guessed that it might be the same. He started doing research, and learned that it is possible to transfer a portion of a living person’s liver to someone in need of a transplant. About 6,000 living-donor transplants are performed every year in the United States, and the rate of success for both donor and recipient is high. The liver is a regenerative organ. The portion transplanted into the recipient will grow to a functional size, and the portion of the liver that the donor gives up will also grow back. After doing numerous medical tests, Cook stopped by Jobs’s Palo Alto home to deliver the good news. But Jobs wouldn’t hear about it. Contrary to Walter Isaacson’s biography in which Steve Jobs is cited as saying “I’ve finally cracked the code” to the perfect television experience, saying “it will have the simplest interface you could imagine,” Becoming Steve Jobs offers quite different thoughts on the prospect of an Apple-branded television set. Jony Ive’s introduction to Steve’s decision-making boiled down to the CEO killing both of his pet projects shortly following Steve’s return to Apple’s helm in 1996. Steve killed off the eMate, axed the Newton PDA project (save a few key patents), and the 20th Anniversary Mac which bit the dust after selling just 12,000 units. The products just didn’t fit into Steve’s quadrants. Removing the 20th Anniversary Macintosh, Ive’s “pride and joy at the time,” must have been particularly painful for the British designer. It was a striking piece of out-of-the-box industrial design thinking. Jony and his team had placed the guts of a top-of-the-line laptop inside a svelte and slightly curved vertical slab, which had on the top half of its surface a color LCD monitor, and on the bottom half a vertical CD-ROM drive, all of which was framed by specially designed Bose stereo speakers. It was packed with state-of-the-art technology, including cable and FM tuners and the circuitry necessary for the computer to double as a TV set or radio. I know, let’s buy Yahoo! The book reveals that Steve and his executive team were actively thinking about purchasing Yahoo as a way of gaining instant credibility in the online services space and, more importantly, gaining backdoor access into the search market. To help pull off a big move like this, Steve turned to his longtime friend and Disney CEO Bob Iger, who now has a seat on Apple’s Board of Directors. Steve’s genuine care for his peers exhibited itself in ways more than one. Cook recounts how his boss gave his mom a buzz to ask her to persuade Cook, who was a very private man before recently coming out as gay, to have a more social life. “The Steve I knew was the guy pestering me to have a social life, not because he was being a pest, but because he knew how important family was in his life, and he wanted it for me, too,” says Cook, who came out as a gay man late in 2014. “The Steve that I met in early ’98 was brash and confident and passionate and all of those things. But there was a soft side of him as well, and that soft side became a larger portion of him over the next 13 years. You’d see that show up in different ways. Cook says Steve was anything but an arrogant boss who wouldn’t articulate and explain key decisions to his lieutenants. The why of the decisions Apple had made in its past, both good and bad ones, would eventually lead Steve to establish something called Apple University. It’s an internal program that teaches upcoming company leaders about Apple’s DNA and the Apple way of doing things. Walter Isaacson may have gained unparalleled access to the late co-founder, which authorized his bio book, but that doesn’t mean other executives were happy that the famous Fortune writer and biographer mostly regurgitated old stories while simplifying and even skewing some of the more interesting aspects of Steve’s personality and mannerism. “This picture of him isn’t understood,” says Cook. “I thought the Walter Isaacson book did him a tremendous disservice. It was just a rehash of a bunch of stuff that had already been written, and focused on small parts of his personality. You get the feeling that Steve’s a greedy, selfish egomaniac. It didn’t capture the person. The person I read about there is somebody I would never have wanted to work with over all this time. Life is too short. Succession planning began in 2004. But Steve may have been already preparing Apple for his departure way back in 2004, one year after a medical scan revealed a tumor in his pancreas and years before the iPhone and iPad would get impregnated into public consciousness. Two months before his passing, Jobs calls Cook to inform him he would be named the new CEO after Steve becomes the company’s Chairman. Back then, Cook believed the best candidate should come from within the company, a notion that he says is even more relevant nowadays. On August 11, Apple announced Steve’s CEO resignation over health problems. The Apple co-founder would become the Chairman of the Board. But little did Cook know that Steve’s health would deteriorate soon after, resulting in his death just a few weeks later. Cook describes spending final hours with his friend and mentor. Eight weeks after Steve told Cook he was making him CEO, things took a sudden turn for the worse. “I watched a movie with him the Friday before he passed away,” Cook remembers. “We watched Remember the Titans [a sentimental football story about an underdog]. 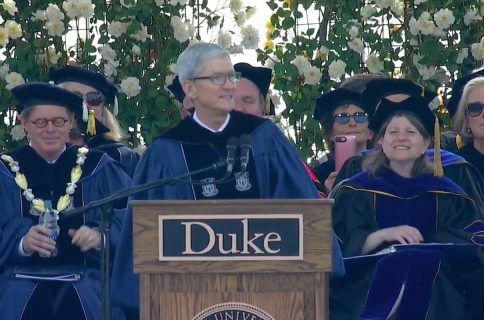 Cook shared Jobs’ belief that Apple was and still is a magical place. In fact, that was “certainly part of the reason” Steve urged the Board of Directors to sign off on Cook as his successor. These tidbits were brought to you by Fast Company. They’ve published sizable excerpts from the book and I’ve only included the best quotes here so hit the source link below for the complete story. While Isaacson’s biography did Jobs “a great disservice,” the upcoming biopic by documentary maker Alex Gibney titled Steve Jobs: Man in the Machine has surely failed to win over Apple executives. “The person I read about there is somebody I would never have wanted to work with over all this time,” Cook said last week in response to the movie’s recent preview at SXSW. Among other scenes in the documentary, one scene depicts Steve dragging his ex-girlfriend through courts to try to avoid paying child support, with others going over Apple’s 2010 incident of the lost iPhone 4 prototype and other controversial topics. That was a pretty unusual move, to put it mildly, for a company notorious for its secrecy and tight control of its corporate message and branding. 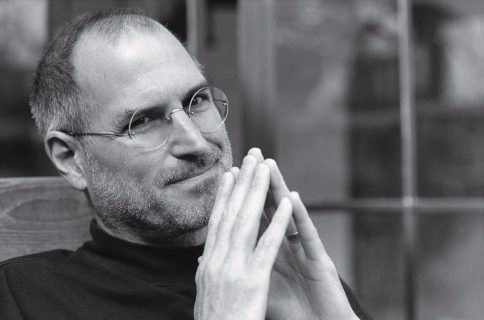 As for Becoming Steve Jobs, Cue called it the “best portrayal” of Apple’s co-founder. “Well done and first to get it right,” he said in another tweet. Tim Cook, who recently “surprised” Jim Cramer on Mad Money, reiterated on the show that Steve’s office, located right next to his own in Apple’s Cupertino headquarters, continues to stand empty. Steve’s name is still on the door. You can pre-order a digital version of the book over at Apple’s iBooks Store for thirteen bucks or through Amazon’s Kindle Store for $15.